The fabric is machine-washable and self-wicking. The best, lightest weight infant car seat, just got even better! 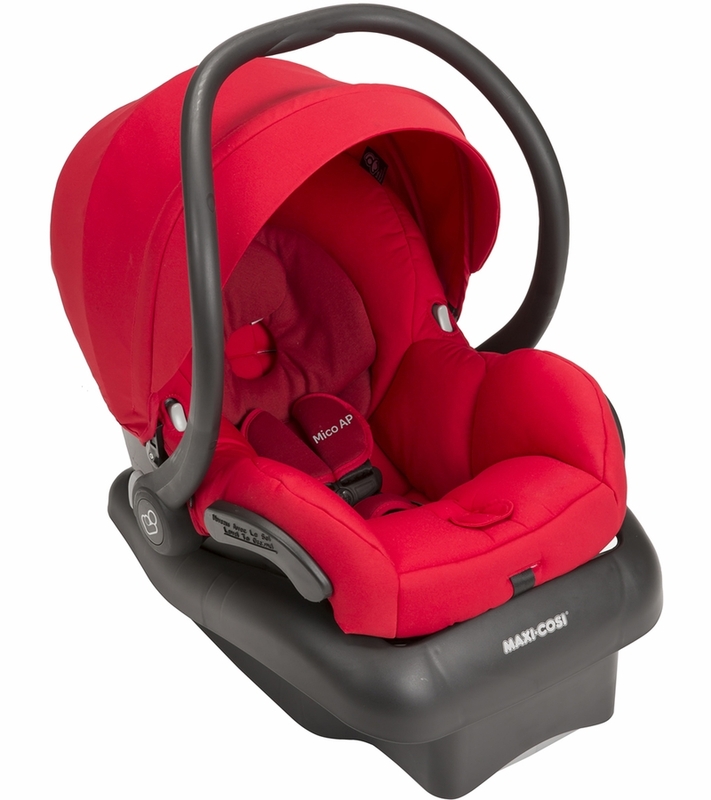 The Maxi-Cosi Mico AP Infant Car Seat is now the easiest seat to clean! 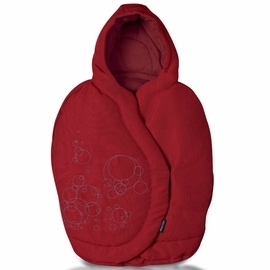 Fabric is easily removable without having to rethread harness and is Washer and Dryer safe! Superior Side Impact Performance featuring Air Protect technology. Easy to clean. Fabric is easily removable and Washer and Dryer safe. 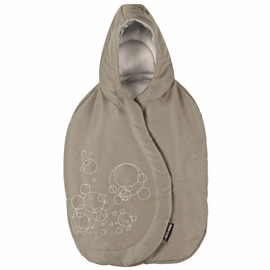 Cool Baby natural bamboo self wicking fabric keep baby comfortable even on the hottest days. 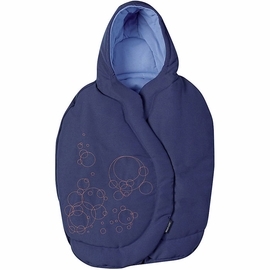 Cozi Dozi infant support for smaller babies. Flip out canopy visor for extra UV protection. 5 point harness is adjustable from the front. 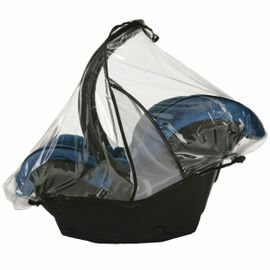 Compatible with Maxi Cosi and Quinny strollers and other premium strollers, each sold separately. Weight Range: 5 - 22 lbs. Height Range: up to 29 inches. We love this car seat,best and lightest on the market.The safety features on it make the price worth;Albeebaby provides also excellent customer service,fast delivery.We initially got the Maxi Cosi Prezi car seat for our daughter,we bought it three months in advance and although a beautiful car seat we realised it will not fit our vehicle and we needed it exchanged.Despite their 30 day return policy Albeebaby was very understanding and helpful and they accepted that car seat back for store credit,and we got this version of Maxi Cosi seat instead.We are so happy with this purchase and with albeebaby.Excellent product excellent seller.Highly recommend it to everybody! 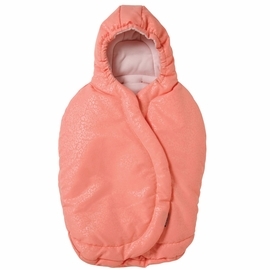 Got this one was on sale - as the newborn baby can grow very fast, highly recommend this one. It is good for first 6m, actually my boy is growing very fast, right now he's 5m and almost can not fit in. But it is a very good buy as a 1st car seat for my boy, love it! Best infant car seat ever! I�€™ve purchased for each of my children. A little bulkier but worth it for the durability and safety. Light weight. Really nice. Good quality. My baby used it until she was about 6 and 1/2 months and then it became a bit small and I had to replace it to convertible car seat. I bought this as a gift for my sister. She was very happy. It is a very cute car seat that meets the state guidelines for child safety. It is more light weight compared to other carseats. Nice infant car seat in high quality. Easy in-and out of the car due to the click-system. Our daughter seems to love this car seat. Easy for us to carry. ConsTakes up some room in back seat of car but most do. I love this compact car seat. It looks very sturdy and comfortable! 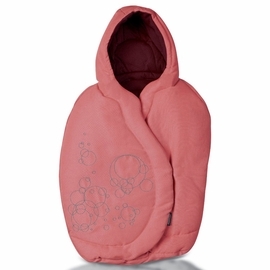 I had always seen the Maxi Cosi brand baby gear and always loved how soft and squishy the fabric was. With my 3rd baby I finally got one and love it! She is currently 8 months and is big for her age and still fits in it perfectly. It is definitely one of the lighter infant car seats. I take the cover off and wash it about once a month and it has not faded or lost it's form. The only thing I did not like was the back of the canopy is not attached to the carseat, so if you have it pulled back it will sag and sometimes it prevented me from being able to reach the latch to get the carseat out of my car. Comes just like in the picture! Bought this as a gift for my cousin. Love this brand, great quality. Fast shipping. Just in time for her baby shower. Great customer service, thank you for the car seat and Baby Bjorn bouncer - both are great. Super soft. Easy to install. True to color. Highly recommend. The price was good for the product, and the car seat arrived by the exact time. As stated in the headline, this is an excellent car seat for the price paid, are there better/more expensive car seats out there of course there are. But if you are looking for a good car seat that isn't too expensive this one is for you. This is one of if not the lightest car seat around easy for anyone to carry. As far as safety ultimately all car seats have the same safety requirements whether you pay $199 or $1099 for the car seat. Installation is key. This is one of many from the brand I love. Always satisfied. ProsBeautiful, soft, fast delivery, great price. Quality is great. Very comfortable and padding adds to safety. I've had this carseat before for my two previous babies. Its so sturdy and light, its perfect. And the black color is so sleek it helps with stains. 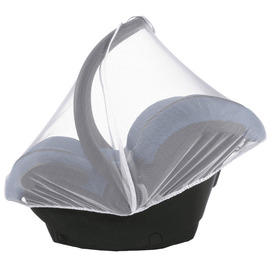 I love the infant support it has, its so great for little babies. And looks so fancy yet its so affordable. Its Compatible with Quinny buzz stroller,so I bought them both together. So far so good! I fell in love with it.. I am in love with the color and quality! I am so happy with my purchase! I love this car seat I would recommend this product to anyone who needs car seat for there baby I love the material that they use to make it so soft.and it is so light that is a plus. I'm very happy with my purchase. This is the lightest infant car seat I've ever owned! 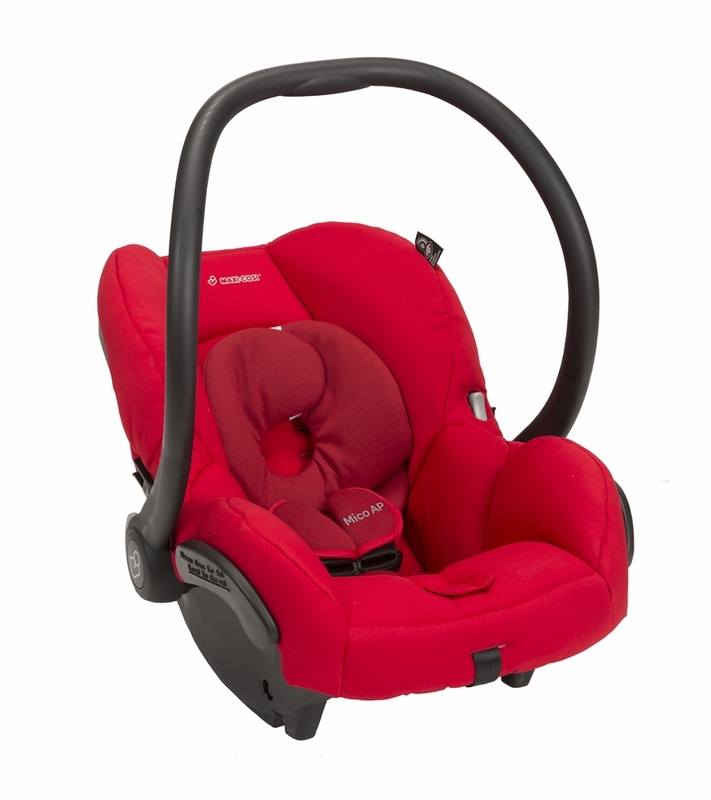 The seat is very cushioned and comfortable for baby, perfect for longer car rides. I wanted the chocolate brown, but they were sold out so I got the black instead. I must say I am completely satisfied and happy with my purchase. This is a well built car seat. Its super comfy and the cushion is amazing. My next car seat will be a Maxi Cosi. Also, shipping was super fast! 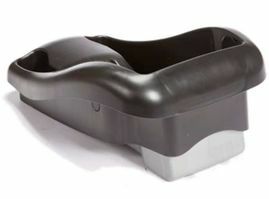 Very light weight but durable car seat! Car seat is nice and snug. I did so many reviews on car seats and glad we came across this one. Since day one the moment our baby gets in the car she falls asleep sitting in this car seat! Great price as well! ConsLike all car seats, a bit of a pain to initially set up. Best UsesCarrying a baby - in a car or cargo bike. This seat is fantastic. We use the MaxiCosi Pria85 for my toddler, so we were convinced that this was the right seat for our new little. 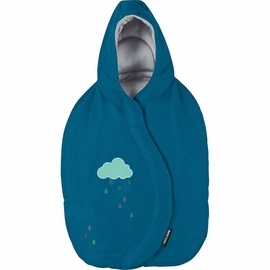 Its super soft, plush, and so LIGHT!! Easy to install and to get little in and out. Highly recommended! This car is very reasonably prices, very lightweight and very comfortable compared to others that I have purchased in the past. I bought this after reading all reviews on this website. I am very happy I decided to go with this brand. 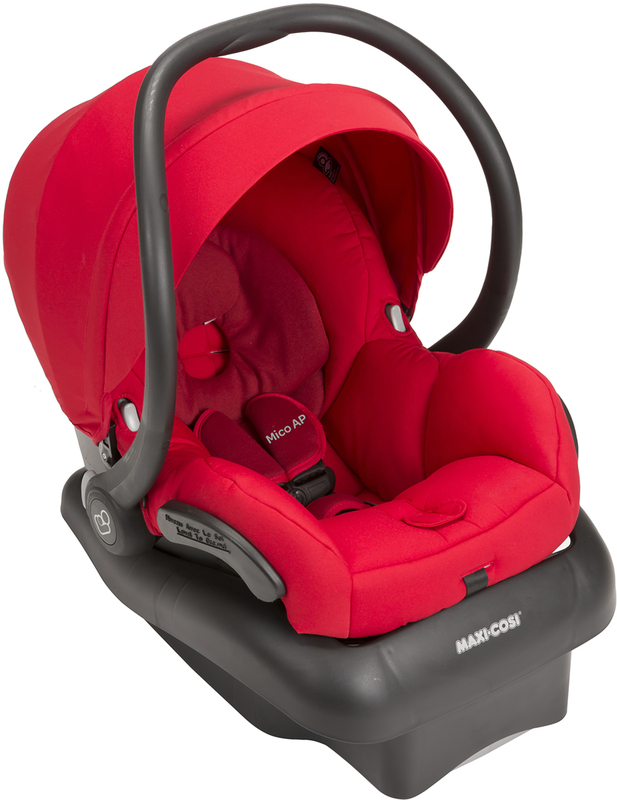 my next car seat will be from Maxi Cosi for sure. Wow, that price, for an item that we absolutely love. We had settled on purchasing a Maxi-Cosi car seat because the brand was compatible with our Quinny stroller. And we absolutely fell in live with the Bohemian Blue colors of the Maxi-Cosi infant car seat, and the material is really perfect. Its smooth and breathable, our friends have even gone so far as describing the material asbeing as nice as a good piece of furniture. So we loved it so much, that we went ahead and bought the exact same Bohemian Blue style convertible car seat. This car seat is so popular amongst our family and friends, so much so, that this purchase was an identicle infant car seat, but this one is for my sisters beautiful baby girl. I couldn't believe the price we bought it for, its even cheaper than the NEX, where we make most of our purchases. Thank you Albeebaby. I love the color and the flexibility of this car seat. It is a fun bright color instead of the same old black or brown. It is made of great soft material. 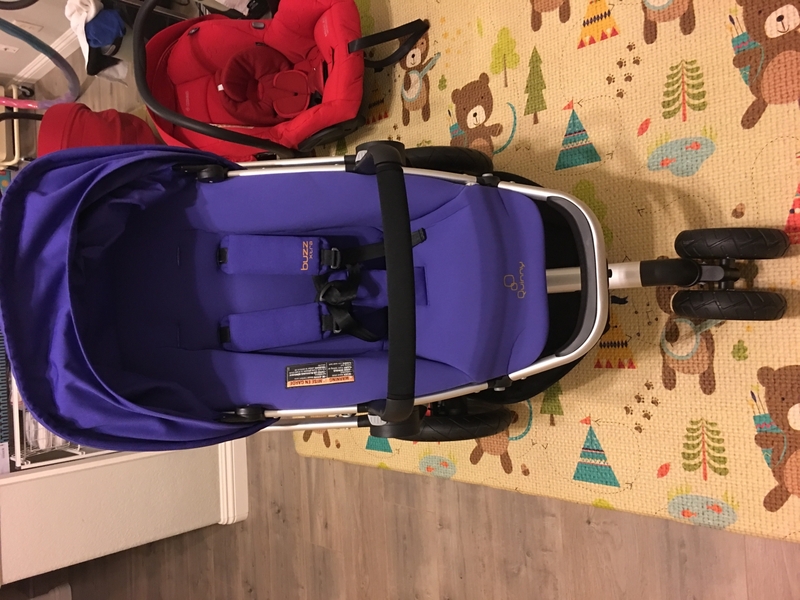 fits great on the base for the car but also is able to be connected to the City Mini Stroller! The price was amazing too. Got this stroller to use with my yoyo zen. small and compact and comfy for baby. great price at albee! comes with base. This infant car seat is light and easy to install. My baby girl used until she was 8 months and now her little brother is using it. Even thought the fabric is washable, it does not appear to be too comfortable and a bit scratchy, the vibrant color is what attracted me to purchase it. needed new carseat as maxi cosi prezi carseat from first baby expired. as always pleased. Love how light it is to carry. Car seat came exactly as pictured! 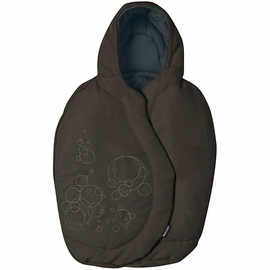 Looks so plush and comfortable for baby' and great price too! No need to invest in super expensive!! 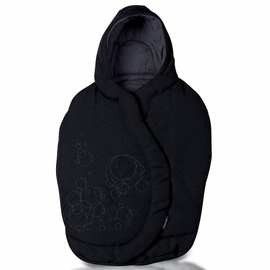 It not only looks great but is very comfortable and safe for our baby. Our baby is already 14 months and we're still using it! Very easy to place in your car and take out! Our baby loves the carseat, highly recommend it!